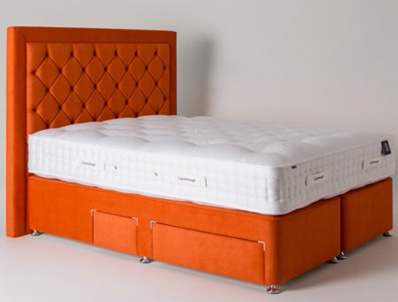 New from Gainsborough is a range of upmarket high count Signature pocket spring beds that offer high levels of quality that can challenge Hypnos and Harrison Beds in both quality and value for money. 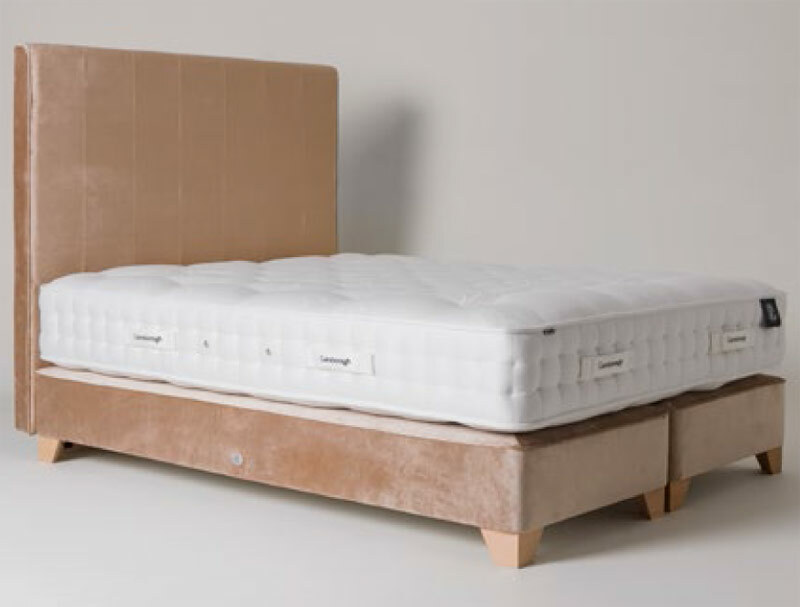 This model is called the Broadway and offers 5000 Pocket spring in a king size mattress, in a choice of medium or firmer tension. It has luxurious layers of cotton, silk and wool fillings as well as a luxury Belgian damask cover that benefits from 2 rows of genuine hand side stitching for edge to edge support. The Broadway bed is available as standard on a firm edge coil spring deep base or you can upgrade to a stylish shallow platform top base on legs, or the Mayfair shallow pocket spring base with 1000 springs also with dark or light wood feet. You can also upgrade to an end lift ottoman base if required for maximum storage. 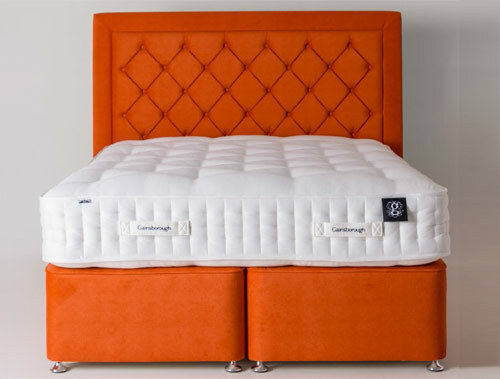 Please note Gainsborough bases are all split north to south on all models as they believe this prolongs the life of the mattress during turning and rotation. 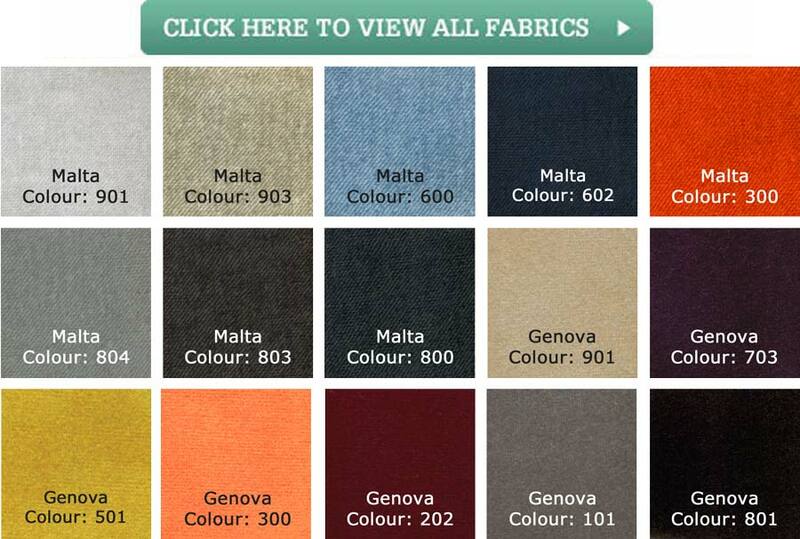 The Broadway/Southwold bed is available in a range of high quality fabrics and comes with a 10 year guarantee. The Headboard pictured is not included in the price quoted but is available as an extra cost it is Floor standing fix to bed headboard and is shown as an optional extra.